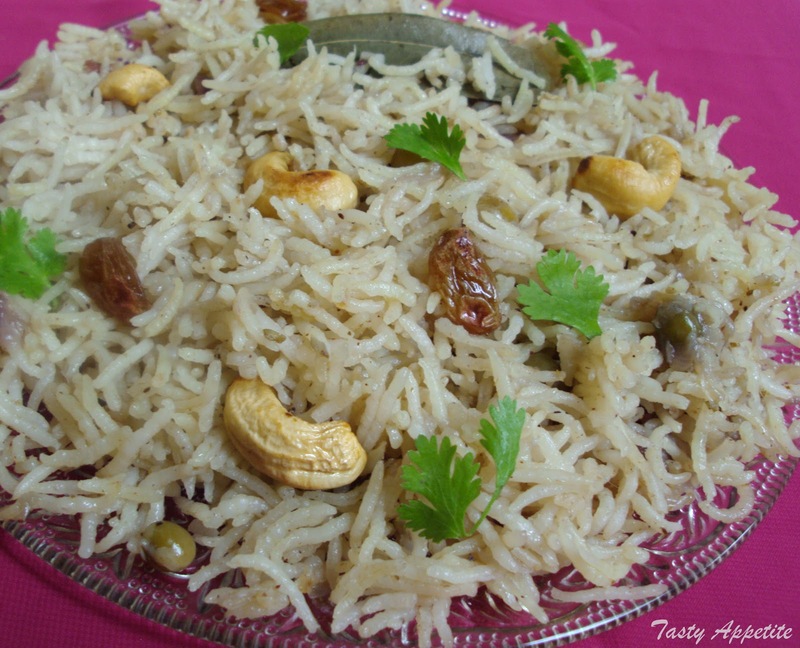 Ghee Rice is a Kids favorite & healthy recipe...! I tasted this rice , when I visited a friends house and I liked it very much. 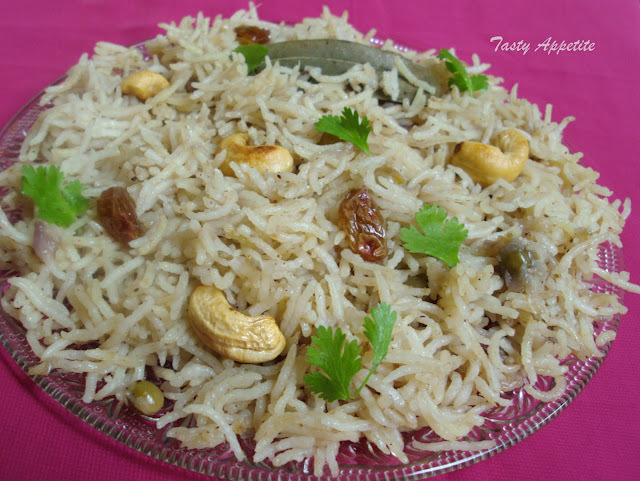 In this recipe, the flavored rice ( Basmati Rice ) is cooked in clarified butter or ghee, aromatic spices and with lots of onions and finally seasoned with golden roasted cashew and raisins. This rich dish is simple to cook and made for special occasions like birthdays, weddings or other festive occasions. 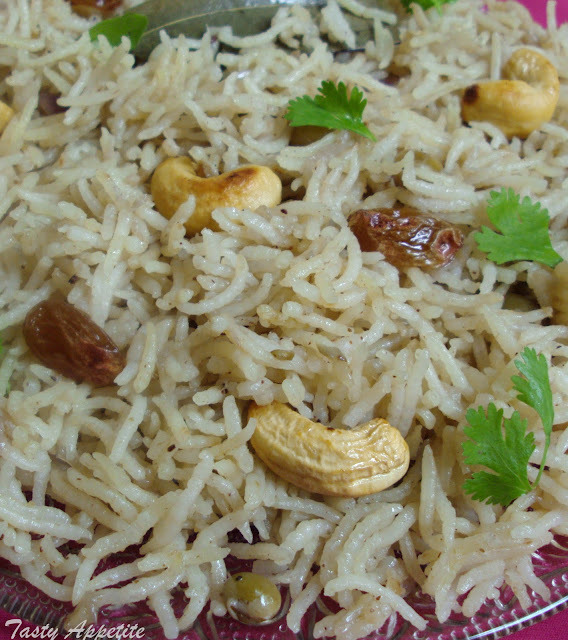 Here comes the traditional dish of Indian Cuisine - Ghee Rice recipe..Hope you would like it too..!!! Wash basmati rice thoroughly and drain the water. Heat the clarified butter / ghee in a heavy bottomed pan. Roast cashew and raisins to golden. Add cinnamon, bay leaves, cloves and cardamom and sauté for a minute. Add the onion slices and sauté on high for few seconds. Then lower the flame and sauté till it turns golden brown and soft. Add ginger garlic paste and sauté further for 2 mins. Now add drained Basmati rice and sauté gently. 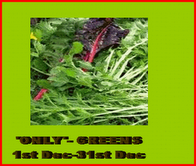 Transfer this to a pressure cooker and add 3 ½ cups water and salt. Fluff the rice grains with a fork. 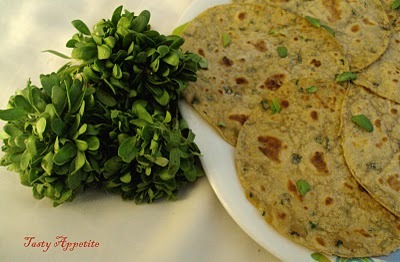 Garnish with roasted cashew, raisins and freshly chopped coriander leaves. 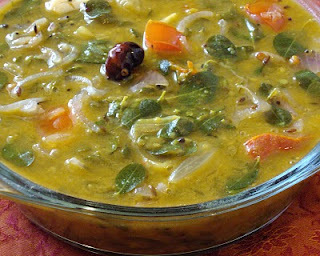 Serve hot with Veg or Chicken Kurma. hosted by Sara and Started by Foodelicious ..! Ghee imparts a beautiful flavour to rice.. Love them! The rice look so fluffy and delicious. You cook your rice very well, I like the long grains rice which are still intact and not squashed up. Looks fluffy and perfect..aromatic and delicious rice. I love this rice so much ..easy and goes excellent with any curry...yumm. wow...awesome clcik...n tempting nice...jux lov it! ghee rice looks delicious Jaya. My patti always makes this dish whenever i go visit her..It's my all time fav...Nicely done Jay..Love how the rice is perfectly cooked.. Fantastic and great looking ghee rice.. Very tempting,love to see the perfectly cooked long grains!! lovely clicks !! Ummm-umm looks so inviting.Good with any chicken gravy. oh they looks awesome...just simple but best! Tempting Ghee rice..am in for it, can have anytime..looks rich with the cashews..
Looks superb and delicious !!! Bookmarked! Love this rice anytime!